We offer an amazing range of N. C. R. products. Do you need Order, Delivery, Receipt, invoice, Sales books? 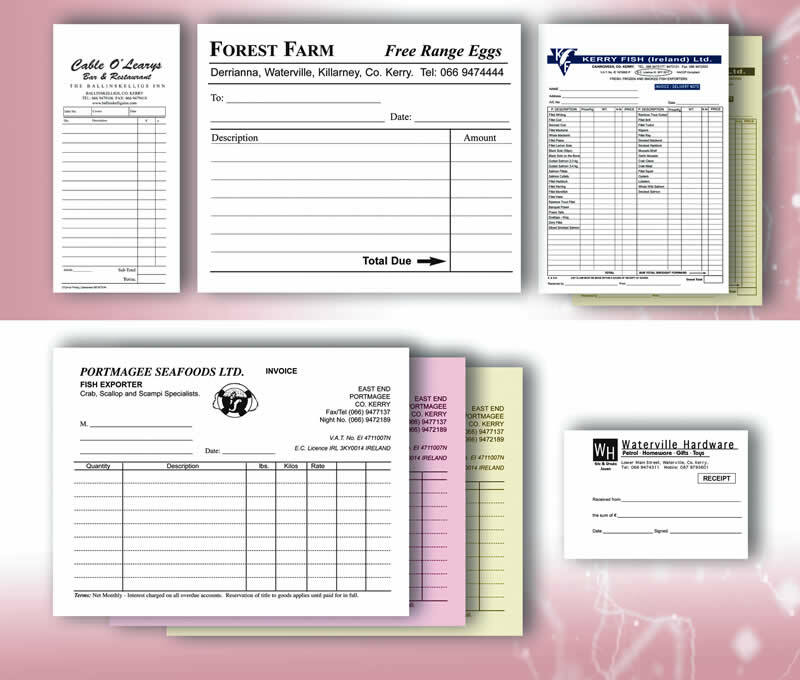 We supply them in all sizes in either duplicate or triplicate. The use of N. C. R. docket books is endless and we can advise what size, number, etc, best suit your needs. Sizes available A4, A5, A6,D2 in duplicate or triplicate. Top or side perforated with or without numbering.